Great food for a great cause. 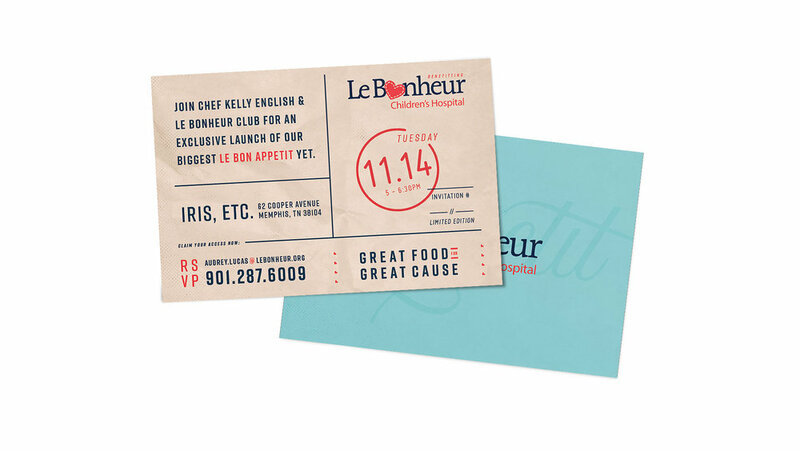 Le Bon Appétit brings the nation’s top chefs together for one common cause: Le Bonheur Children’s Hospital, the region’s first and only comprehensive hospital dedicated to kids. For five years, the event has grown steadily in size and reputation, despite lacking a distinctive identity, focused marketing strategy, or proper perennial venue. For 2018, however, Le Bonheur signed on to make Crosstown Concourse their permanent event home, then approached us to help them make this the biggest Le Bon Appétit ever. 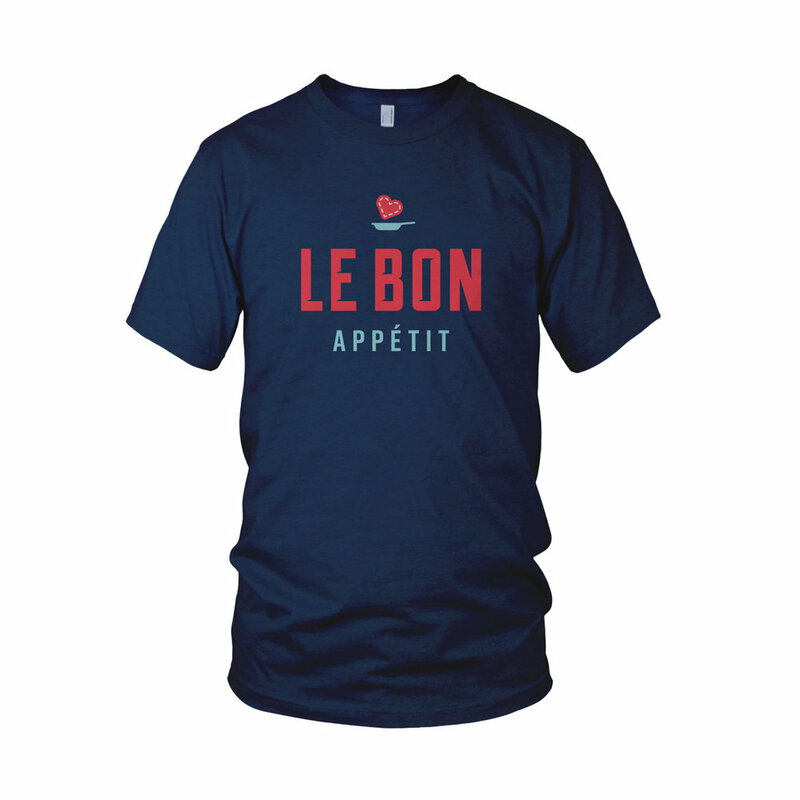 We began by developing a cohesive brand to reflect the casual elegance and distinctive spirit of Le Bon Appétit-- a look with modern sophistication, a dash of je ne sais quoi, and a lot of heart. Our social media strategy was based in ultra-shareable video content. To launch the new face of the event, we took its two key themes-- kids and haute cuisine-- and mixed them together to comedically concoct an announcement video to engage the widest audience possible. A nearly year-long lead time allowed us to craft an inventive collateral strategy to stir up maximum local and regional brand awareness. We created chef-specific collateral-- including window decals, coasters, server apparel, and check stuffers-- to hit key foodie demographics in their natural environment: our guest chefs’ extraordinary restaurants. Since Le Bon Appétit draws such considerable talent from across the country, we knew it was key to showcase the chefs both properly and equitably. 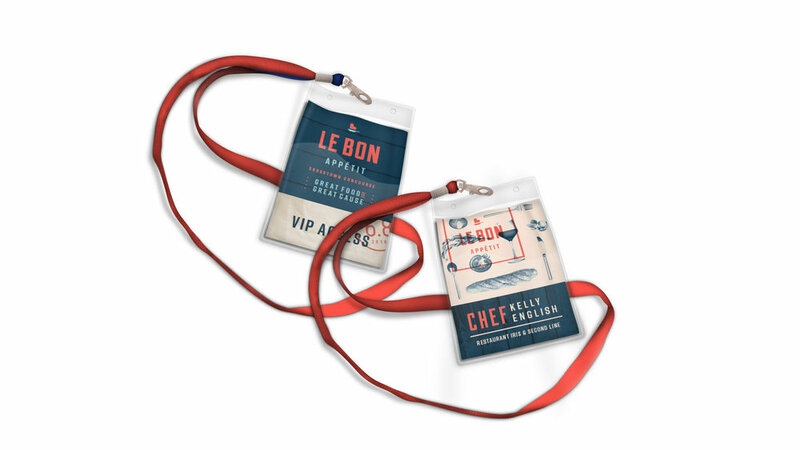 By creating a consistent, on-brand look for all chefs and an easily navigable format, the website encourages event excitement and ease of ticket purchase. Responsive design makes the user’s experience on their phone just as robust as on their desktop.